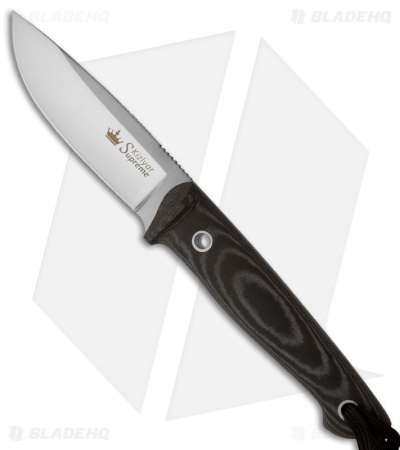 The Santi fixed blade is a compact, tough knife for a wide variety of tasks. It features a drop point profile. The design is full-tang with Micarta scales that are attached using stainless steel tube fasteners and a glue underneath. 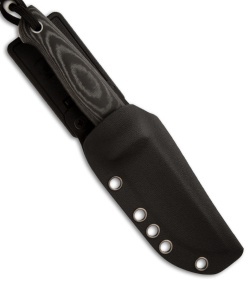 The handle has small bump guards and fits securely in hand. Kizlyar Supreme Knives boast a diverse team of designers from Russia, Australia, Japan and Germany. They do a spectacular job of interpreting western designs while giving each knife a Russian touch.